Was Von Neumann Right After All? I have seldom in my life felt so astounded as when I first typed the words Topological Geometrodynamics into Google and followed the path of links deeper and deeper into the stupendous intellectual abyss that this phrase leads to. The only adequate analogue must certainly be Alices venture into the depths of the Rabbit Hole! This particular hole features eighteen on-line books and over ten thousand pages of beautiful and highly original mathematics and theoretical physics. Matti Pitkanen has during many long years looked deeper into the secrets of the universe than any other person that I have known. His study is systematic and meticulous, yet awe-inspiring by the all-encompassing width of his mathematical and physical treasure chest that features such proverbial beasts as zero energy ontology, infinite primes and p-Adic space-time. Yet Matti Pitkanen himself is the first person to acknowledge that his journey is still incomplete: there is no world equation or other forms of a closed formulation, let alone solutions to such systems of equations. Matti Pitkanen humbly describes himself as the scribe of the universe that faithfully records the beauty of the symmetries that he perceives through his equations and operators with a deep physical meaning. Symmetry is indeed the cornerstone of Topological Geometrodynamics, or TGD. On one hand, TGD is a proper generalization of John Archibald Wheelers eponymous theory. On the other, it is a generalized M-theory where particles are represented by 3-surfaces in an eight-dimensional manifold. In the former case, Matti Pitkanens worldsheet is parameterized by a Cartesian product of the 4-dimensional Minkowski space and a compact two-dimensional complex projective sphere. In the second case, this same manifold is conformally symmetric in the sense that it must possess an infinite-dimensional Kähler geometry. This requirement leads to the necessity of infinite-dimensional groups of isometries to exist. This extremely simple requirement of symmetry results in a number of astonishing deviations from other M-theories with hadronic strings. For example, world sheet diagrams do not describe particle decays, but instead the propagation of particles by different routes. Particle reactions are described by generalized Feynman diagrams where 3-dimensional light-like surfaces are identified with particles. The ensuing four-dimensional space-time surfaces that now replace the vertices of Feynman diagrams are therefore singular, just like Feynman diagrams are as one-dimensional manifolds. The equivalence between the two interpretations of TGD implies that TGD necessarily unifies quantum mechanics with the General Theory of Relativity by purely geometric means. If you find visions like this strange and counter-intuitive, you have picked the right book! Matti Pitkanens monograph on TGD leads you gently through the beautiful symmetric geometry that features such unusual structures and connections between them, and lets you yourself be the judge of their merit. Please join me on this journey maybe the most courageous intellectual Odyssey that mankind has ever embarked upon! 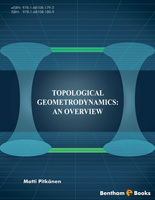 This book belongs to a series of online books summarizing the recent state Topological Geometrodynamics (TGD) and its applications. TGD can be regarded as a unified theory of fundamental interactions but is not the kind of unified theory as so called GUTs constructed by graduate students at seventies and eighties using detailed recipes for how to reduce everything to group theory. Nowadays this activity has been completely computerized and it probably takes only a few hours to print out the predictions of this kind of unified theory as an article in the desired format. TGD is something different and I am not ashamed to confess that I have devoted the last 37 years of my life to this enterprise and am still unable to write The Rules. If I remember correctly, I got the basic idea of Topological Geometrodynamics (TGD) during autumn 1977, perhaps it was October. What I realized was that the representability of physical space-times as 4-dimensional surfaces of some higher-dimensional space-time obtained by replacing the points of Minkowski space with some very small compact internal space could resolve the conceptual difficulties of general relativity related to the definition of the notion of energy. This belief was too optimistic and only with the advent of what I call zero energy ontology the understanding of the notion of Poincare invariance has become satisfactory. This required also the understanding of the relationship to General Relativity. It soon became clear that the approach leads to a generalization of the notion of space-time with particles being represented by space-time surfaces with finite size so that TGD could be also seen as a generalization of the string model. Much later it became clear that this generalization is consistent with conformal invariance only if space-time is 4-dimensional and the Minkowski space factor of imbedding space is 4-dimensional. During last year it became clear that 4-D Minkowski space and 4-D complex projective space CP2 are completely unique in the sense that they allow twistor space with Kahler structure. It took some time to discover that also the geometrization of also gauge interactions and elementary particle quantum numbers could be possible in this framework: it took two years to find the unique internal space (CP2) providing this geometrization involving also the realization that family replication phenomenon for fermions has a natural topological explanation in TGD framework and that the symmetries of the standard model symmetries are much more profound than pragmatic TOE builders have believed them to be. If TGD is correct, main stream particle physics chose the wrong track leading to the recent deep crisis when people decided that quarks and leptons belong to same multiplet of the gauge group implying instability of proton. There have been also longstanding problems. Gravitational energy is well-defined in cosmological models but is not conserved. Hence the conservation of the inertial energy does not seem to be consistent with the Equivalence Principle. Furthermore, the imbeddings of Robertson-Walker cosmologies turned out to be vacuum extremals with respect to the inertial energy. About 25 years was needed to realize that the sign of the inertial energy can be also negative and in cosmological scales the density of inertial energy vanishes: physically acceptable universes are creatable from vacuum. Eventually this led to the notion of zero energy ontology (ZEO) which deviates dramatically from the standard ontology being however consistent with the crossing symmetry of quantum field theories. In this framework the quantum numbers are assigned with zero energy states located at the boundaries of so called causal diamonds defined as intersections of future and past directed light-cones. The notion of energy-momentum becomes length scale dependent since one has a scale hierarchy for causal diamonds. This allows to understand the non-conservation of energy as apparent. Equivalence Principle as it is expressed by Einstein's equations follows from Poincare invariance once it is realized that GRT space-time is obtained from the many-sheeted space-time of TGD by lumping together the space-time sheets to a regionof Minkowski space and endowing it with an effective metric given as a sum of Minkowski metric and deviations of the metrices of space-time sheets from Minkowski metric. Similar description relates classical gauge potentials identified as components of induced spinor connection to Yang-Mills gauge potentials in GRT space-time. Various topological inhomogenities below resolution scale identified as particles are described using energy momentum tensor and gauge currents. From the beginning it was clear that the theory predicts the presence of long ranged classical electro-weak and color gauge fields and that these fields necessarily accompany classical electromagnetic fields. It took about 26 years to gain the maturity to admit the obvious: these fields are classical correlates for long range color and weak interactions assignable to dark matter. The only possible conclusion is that TGD physics is a fractal consisting of an entire hierarchy of fractal copies of standard model physics. Also the understanding of electro-weak massivation and screening of weak charges has been a long standing problem, and 32 years was needed to discover that what I call weak form of electric-magnetic duality gives a satisfactory solution of the problem and provides also surprisingly powerful insights to the mathematical structure of quantum TGD. The latest development was the realization that the well- definedness of electromagnetic charge as quantum number for the modes of the induced spinors field requires that the CP2 projection of the region in which they are non-vanishing carries vanishing W boson field and is 2-D. This implies in the generic case their localization to 2-D surfaces: string world sheets and possibly also partonic 2-surfaces. This localization applies to all modes except covariantly constant right handed neutrino generating supersymmetry and mplies that string model in 4-D space-time is part of TGD. Localization is possible only for Kahler-Dirac assigned with Kahler action defining the dynamics of space-time surfaces. One must however leave open the question whether W field might vanish for the space-time of GRT if related to many-sheeted space-time in the proposed manner even when they do not vanish for space-time sheets. I started the serious attempts to construct quantum TGD after my thesis around 1982. The original optimistic hope was that path integral formalism or canonical quantization might be enough to construct the quantum theory but the first discovery made already during first year of TGD was that these formalisms might be useless due to the extreme non-linearity and enormous vacuum degeneracy of the theory. This turned out to be the case. It took some years to discover that the only working approach is based on the generalization of Einstein's program. Quantum physics involves the geometrization of the infinite-dimensional \world of classical worlds" (WCW) identified as 3-dimensional surfaces. Still few years had to pass before I understood that general coordinate invariance leads to a more or less unique solution of the problem and in positive energyontology implies that space-time surfaces are analogous to Bohr orbits. This in positive energy ontology in which space-like 3-surface is basic object. It is not clear whether Bohr orbitology is necessary also in ZEO in which space-time surfaces connect space-like 3-surfaces at the light-like boundaries of causal diamond CD obtained as intersection of future and past directed light-cones (with CP2 factor included). The reason is that the pair of 3-surfaces replaces the boundary conditions at single 3-surface involving also time derivatives. If one assumes Bohr orbitology then strong correlations between the 3-surfaces at the ends of CD follow. Still a couple of years and I discovered that quantum states of the Universe can be identified as classical spinor fields in WCW. Only quantum jump remains the genuinely quantal aspect of quantum physics. During these years TGD led to a rather profound generalization of the space-time concept. Quite general properties of the theory led to the notion of many-sheeted space-time with sheets representing physical subsystems of various sizes. At the beginning of 90s I became dimly aware of the importance of p-adic number fields and soon ended up with the idea that p-adic thermodynamics for a conformally invariant system allows to understand elementary particle massivation with amazingly few input assumptions. The attempts to understand p-adicity from basic principles led gradually to the vision about physics as a generalized number theory as an approach complementary to the physics as an infinite-dimensional spinor geometry of WCW approach. One of its elements was a generalization of the number concept obtained by fusing real numbers and various p-adic numbers along common rationals. The number theoretical trinity involves besides p-adic number fields also quaternions and octonions and the notion of infinite p.prime. TGD inspired theory of consciousness entered the scheme after 1995 as I started to write a book about consciousness. Gradually it became difficult to say where physics ends and consciousness theory begins since consciousness theory could be seen as a generalization of quantum measurement theory by identifying quantum jump as a moment of consciousness and by replacing the observer with the notion of self identified as a system which is conscious as long as it can avoid entanglement with environment. The somewhat cryptic statement \Everything is conscious and consciousness can be only lost" summarizes the basic philosophy neatly. The idea about p-adic physics as physics of cognition and intentionality emerged also rather naturally and implies perhaps the most dramatic generalization of the space-time concept in which most points of p-adic space-time sheets are infinite in real sense and the projection to the real imbedding space consists of discrete set of points. One of the most fasvicinating outcomes was the observation that the entropy based on p-adic norm can be negative. This observation led to the vision that life can be regarded as something in the intersection of real and p-adic worlds. Negentropic entanglement has interpretation as a correlate for various positively colored aspects of conscious experience and means also the possibility of strongly correlated states stable under state function reduction and different from the conventional bound states and perhaps playing key role in the energy metabolism of living matter. If one requires consistency of Negentropy Mazimization Pronciple with standard measurement theory, negentropic entanglement defined in terms of number theoretic negentropy is necessarily associated with a density matrix proportional to unit matrix and is maximal and is characterized by the dimension n of the unit matrix. Negentropy is positive and maximal for a p-adic unique prime dividing n.
One of the latest threads in the evolution of ideas is not more than nine years old. Learning about the paper of Laurent Nottale about the possibility to identify planetary orbits as Bohr orbits with a gigantic value of gravitational Planck constant made once again possible to see the obvious. Dynamical quantized Planck constant is strongly suggested by quantum classical correspondence and the fact that space-time sheets identifiable as quantum coherence regions can have arbitrarily large sizes. Second motivation for the hierarchy of Planck constants comes from bioelectromagnetism suggesting that in living systems Planck constant could have large values making macroscopic quantum coherence possible. The interpretation of dark matter as a hierarchy of phases of ordinary matter characterized by the value of Planck constant is very natural. During summer 2010 several new insights about the mathematical structure and interpretation of TGD emerged. One of these insights was the realization that the postulated hierarchy of Planck constants might follow from the basic structure of quantum TGD. The point is that due to the extreme non-linearity of the classical action principle the correspondence between canonical momentum densities and time derivatives of the imbedding space coordinates is one-to-many and the natural description of the situation is in terms of local singular covering spaces of the imbedding space. One could speak about effective value of Planck constant heff = n x h coming as a multiple of minimal value of Planck constant. Quite recently it became clear that the non-determinism of Kahler action is indeed the fundamental justification for the hierarchy: the integer n can be also interpreted as the integer characterizing the dimension of unit matrix characterizing negentropic entanglement made possible by the many-sheeted character of the space-time surface. Due to conformal invariance acting as gauge symmetry the n degenerate space-time sheets must be replaced with conformal equivalence classes of space-time sheets and conformal transformations correspond to quantum critical deformations leaving the ends of space-time surfaces invariant. Conformal invariance would be broken: only the sub-algebra for which conformal weights are divisible by n act as gauge symmetries. Thus deep connections between conformal invariance related to quantum criticality, hierarchy of Planck constants, negentropic entanglement, effective p-adic topology, and non-determinism of Kahler action perhaps reflecting p-adic non-determinism emerges. The implications of the hierarchy of Planck constants are extremely far reaching so that the significance of the reduction of this hierarchy to the basic mathematical structure distinguishing between TGD and competing theories cannot be under-estimated. From the point of view of particle physics the ultimate goal is of course a practical construction recipe for the S-matrix of the theory. I have myself regarded this dream as quite too ambitious taking into account how far reaching re-structuring and generalization of the basic mathematical structure of quantum physics is required. It has indeed turned out that the dream about explicit formula is unrealistic before one has understood what happens in quantum jump. Symmetries and general physical principles have turned out to be the proper guide line here. To give some impressions about what is required some highlights are in order. With the emergence of ZEO the notion of S-matrix was replaced with Mmatrix defined between positive and negative energy parts of zero energy states. M-matrix can be interpreted as a complex square root of density matrix representable as a diagonal and positive square root of density matrix and unitary S-matrix so that quantum theory in ZEO can be said to define a square root of thermodynamics at least formally. M-matrices in turn bombine to form the rows of unitary U-matrix defined between zero energy states. A decisive step was the strengthening of the General Coordinate Invariance to the requirement that the formulations of the theory in terms of light-like 3-surfaces identified as 3-surfaces at which the induced metric of space-time surfaces changes its signature and in terms of space-like 3-surfaces are equivalent. This means effective 2-dimensionality in the sense that partonic 2-surfaces defined as intersections of these two kinds of surfaces plus 4-D tangent space data at partonic 2-surfaces code for the physics. Quantum classical correspondence requires the coding of the quantum numbers characterizing quantum states assigned to the partonic 2-surfaces to the geometry of space-time surface. This is achieved by adding to the modified Dirac action a measurement interaction term assigned with light-like 3-surfaces. The replacement of strings with light-like 3-surfaces equivalent to spacelike 3-surfaces means enormous generalization of the super conformal symmetries of string models. A further generalization of these symmetries to non-local Yangian symmetries generalizing the recently discovered Yangian symmetry of N = 4 supersymmetric Yang-Mills theories is highly suggestive. Here the replacement of point like particles with partonic 2-surfaces means the replacement of conformal symmetry of Minkowski space with infinite-dimensional super-conformal algebras. Yangian symmetry provides also a further refinement to the notion of conserved quantum numbers allowing to define them for bound states using non-local energy conserved currents. A further attractive idea is that quantum TGD reduces to almost topological quantum field theory. This is possible if the Kahler action for the preferred extremals defining WCW Kahler function reduces to a 3-D boundary term. This takes place if the conserved currents are so called Beltrami fields with the defining property that the coordinates associated with flow lines extend to single global coordinate variable. This ansatz together with the weak form of electric-magnetic duality reduces the Kahler action to Chern-Simons term with the condition that the 3- surfaces are extremals of Chern-Simons action subject to the constraint force defined by the weak form of electric magnetic duality. It is the latter constraint which prevents the trivialization of the theory to a topological quantum field theory. Also the identification of the Kahler function of WCW as Dirac determinant finds support as well as the description of the scattering amplitudes in terms of braids with interpretation in terms of finite measurement resolution coded to the basic structure of the solutions of field equations. In standard QFT Feynman diagrams provide the description of scattering amplitudes. The beauty of Feynman diagrams is that they realize unitarity automatically via the so called Cutkosky rules. In contrast to Feynman's original beliefs, Feynman diagrams and virtual particles are taken only as a convenient mathematical tool in quantum field theories. QFT approach is however plagued by UV and IR divergences and one must keep mind open for the possibility that a genuine progress might mean opening of the black box of the virtual particle. In TGD framework this generalization of Feynman diagrams indeed emerges unavoidably. Light-like 3-surfaces replace the lines of Feynman diagrams and vertices are replaced by 2-D partonic 2-surfaces. Zero energy ontology and the interpretation of parton orbits as light-like \wormhole throats" suggests that virtual particle do not differ from on mass shell particles only in that the four- and three- momenta of wormhole throats fail to be parallel. The two throats of the wormhole contact defining virtual particle would contact carry on mass shell quantum numbers but for virtual particles the four-momenta need not be parallel and can also have opposite signs of energy. The localization of the nodes of induced spinor fields to 2-D string world sheets (and possibly also to partonic 2-surfaces) implies a stringy formulation of the theory analogous to stringy variant of twistor formalism with string world sheets having interpretation as 2-braids. In TGD framework fermionic variant of twistor Grassmann formalism leads to a stringy variant of twistor diagrammatics in which basic fermions can be said to be on mass-shell but carry non-physical helicities in the internal lines. This suggests the generalization of the Yangian symmetry to infinite-dimensional super-conformal algebras. What I have said above is strongly biased view about the recent situation in quantum TGD. This vision is single man's view and doomed to contain unrealistic elements as I know from experience. My dream is that young critical readers could take this vision seriously enough to try to demonstrate that some of its basic premises are wrong or to develop an alternative based on these or better premises. I must be however honest and tell that 32 years of TGD is a really vast bundle of thoughts and quite a challenge for anyone who is not able to cheat himself by taking the attitude of a blind believer or a light-hearted debunker trusting on the power of easy rhetoric tricks. “The universe is fundamentally a geometric construction. This simple basic observation is used to tremendous extent in topological geometrodynamics – a novel theory that unifies general relativity with quantum field theory. Topological Geometrodynamics: An Overview explores this connection to a beautiful and coherent view of our galactic home.” – Prof. Tuomo Kauranne, Lappeenranta University of Technology.